With this inaugural blog post I launch the good ship Euan Cook - Illustration! Here are a few things I have been working on the past week(s?). I have plans to make this blog a regularly updated sort of thing, but in the next few days there will probably be a large amount of old images and sketchbook work being posted en masse. Stay tuned, and congratulations on finding this blog so soon after it went up that you may well be psychic. These three images were made to illustrate an imagined book about Cuba. 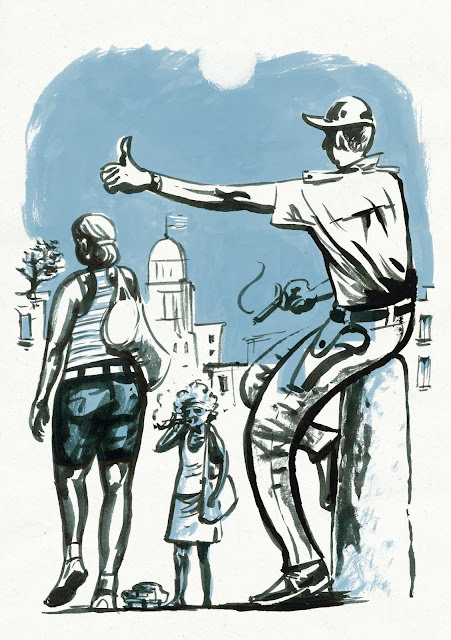 The first, a possible cover image, is a scene from the centre of Havana. 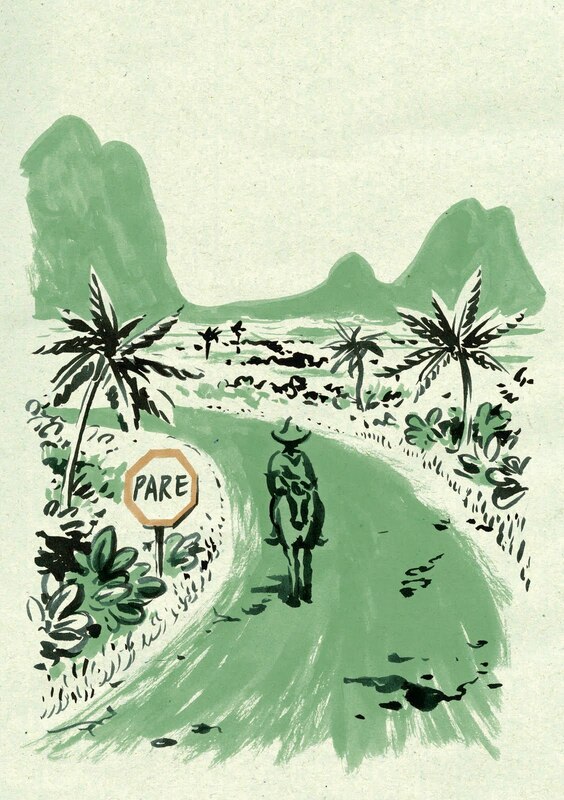 The second illustrates the timeless rural life of most of Cuba's population. 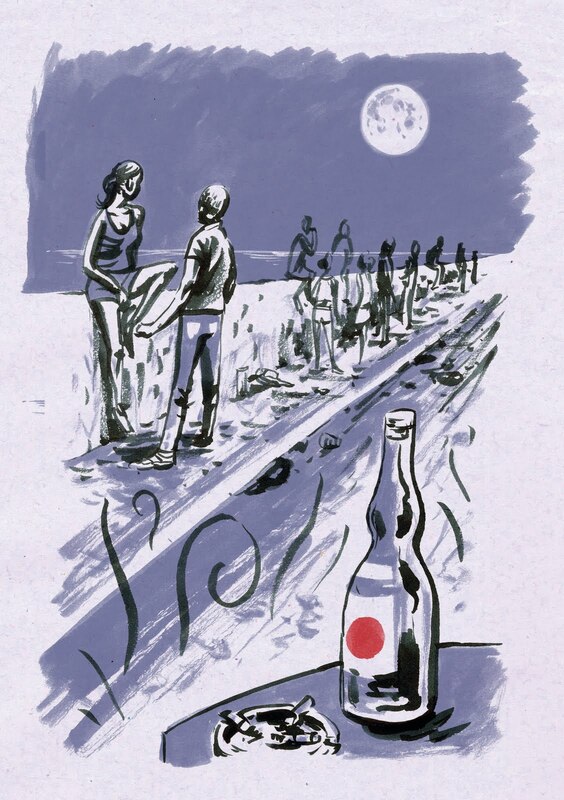 The final image is of cuban youth on a night out on the seafront under a waxy moon. 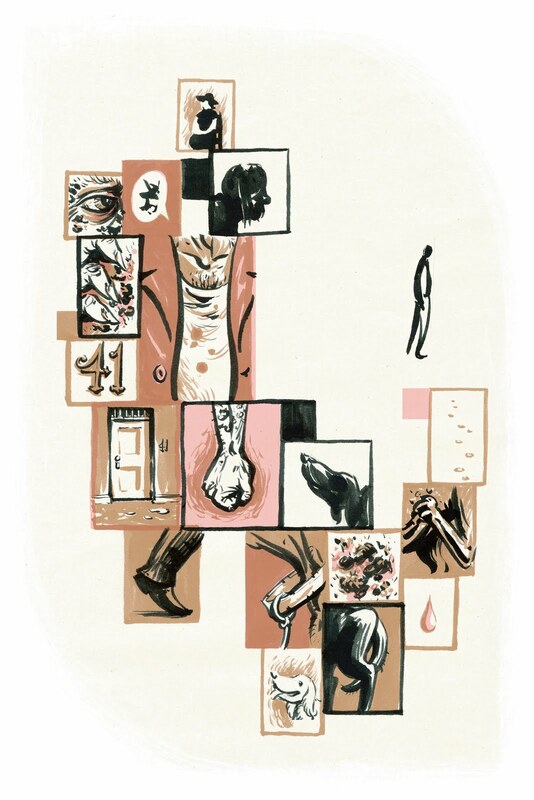 This image is a radical rehash of an old piece for the Folio Society competition to illustrate The Outsider by Albert Camus. I was never satisfied with the original, this one is looking much better, though may turn out to still be a work in progress (I think the project is cursed). Read the book and guess what characters it is portraying (hint: there is only one mangy dog mentioned in the book).